Running a business is a complex and demanding process, but there are some basic things that your business will surely need to operate. One of these things is a functional and reliable point of sale system. A POS system ensures that monetary transactions between you and your customers are efficient and secure to the last detail, including the cash register and cash drawer you choose to invest in. Your cash register, and more specifically, your cash drawer, is where all your notes and coins are housed during business hours, so keeping them secure is your top priority. A 3-position key lock is a cost-effective and secure option for ensuring cash drawer security. Screwless, tamper resistance design also deters potential attempts at quick theft. Notes and coins need to fit in their respective sections comfortably. Cash sections are commonly arranged in decreasing denominatons from left to right to increase accuracy when giving change and help ensure your cash drawer is perfectly balanced at the end of each business day. 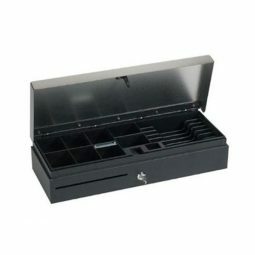 There should be ample space for your notes and coins to fit in your cash drawer depending on your business cash volume. 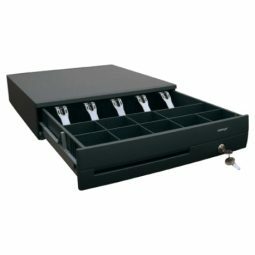 Cash drawers need to be constructed with heavy duty materials for several reasons. Firstly, this increases service life, making it a good investment for your business. Your cash drawer should be durable and resistant to constant dings and dents, especially if you’re opening your cash register frequently. It also contributes to security, deterring potential theft. Media slots are used for quickly and conveniently storing checks, credit card receipts, and other important paperwork without having to open the cash register. This allows less visual exposure of cash as an additional security measure at your point of sale. POSCOM stocks the reliable CD410 and Small Form Factor FLIPTOP cash drawers. Get yours configured today before we send it for only $90+GST! Installation is FREE when you lease with POSCOM – talk to your local dealer today!